Ohio’s Hospice of Dayton® and Ohio’s Hospice of Butler & Warren Counties partner with an energetic, patient-focused medical team which represents the most extensive experience in hospice and palliative care in southwestern Ohio. Our innovative physicians serve as collaborators and consultants to hundreds of other physicians serving patients in our area. In addition, they provide medical expertise that personally addresses the needs of hospice patients. 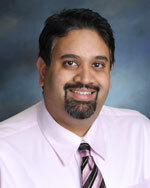 Dr. Patel serves as Regional Chief Medical Officer for the five Ohio’s Hospice southwest affiliates. Dr. Patel joined the staff of Ohio’s Hospice of Dayton in 2009 and has served as Medical Director for Innovative Care Solutions since 2010. Dr. Patel formerly served as a staff hospitalist and specialist in hospice and palliative care at Dayton Veteran’s Affairs Hospital. He earned his medical degree from the American University of The Caribbea and completed residency and Chief Residency at Wright State University School of Medicine. 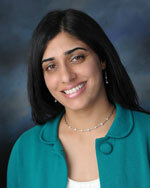 From 2005-2006 Dr. Patel served as the Chief of the Medical-Surgical Clinic at Miami Valley Hospital. He is certified by the American Board of Internal Medicine and is board certified by the American Association of Hospice and Palliative Medicine. Dr. Schmitz is Vice President of Medical Care with operational oversight of services at Ohio’s Hospice of Dayton, Ohio’s Hospice of Butler & Warren Counties and Community Mercy Hospice, a service of Ohio’s Hospice of Dayton. Dr. Schmitz joined Ohio’s Hospice of Dayton in 2008, most recently serving as Medical Director for inpatient care. 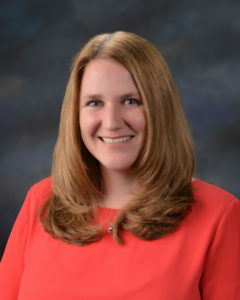 She earned her medical degree at the Medical School of Loma Linda University, Loma Linda, California and completed her residency at Kettering Medical Center, where she was a Weiffenbach Scholar. 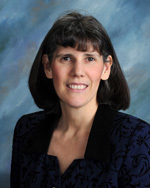 She is board certified in Internal Medicine and Hospice and Palliative Medicine. 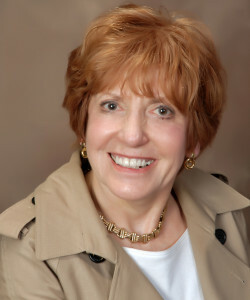 Before joining Ohio’s Hospice of Dayton, Dr. Schmitz served as a hospitalist with South Dayton Acute Care Consultants at Miami Valley Hospital and had also served as medical director of sub-acute care units with Arbors of Dayton Long Term Care, Carriage by the Lake Nursing Home, and Hickory Creek Nursing Home. Dr. Patel served as a staff physician in hospice and palliative care at Dayton Veteran’s Affairs Hospital before joining Hospice of Dayton. She earned her medical degree at Ross University and completed a residency at the Wright State University Boonshoft School of Medicine. She completed a fellowship with the Wright State University Boonshoft School of Medicine in Hospice and Palliative Care in 2009. Dr. Cass is board certified in Hospice and Palliative Medicine and is a fellow of the American Academy of Hospice and Palliative Medicine. She is also board certified by the American Osteopathic Board of Family Physicians and holds a Certificate of Added Qualification in Geriatrics. Dr. Cass joined the staff of Hospice of Dayton in 2002 serving as Administrative Medical Director. 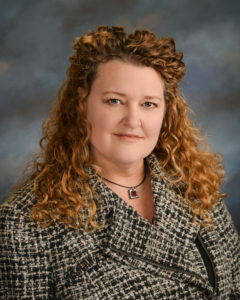 She is a member of the Board of the Ohio Pain Initiative, serves as a member of the American Osteopathic End of Life Committee and National Quality Forum Advisory Committee for Hospice and Palliative Care. Dr. MacLean has served as an Associate Medical Director with Hospice of Dayton since 2011. He is Board certified by the American Association of Hospice and Palliative Medicine and the American Board of Emergency Medicine. He is an Associate Professor in the Department of Emergency Medicine at Wright State University School of Medicine an has served as a staff physician with the Emergency and Trauma Center at Miami Valley Hospital since 1996. He is a graduate of the Chicago College of Osteopathic Medicine and served with the United States Air Force from 1983 to 1992. 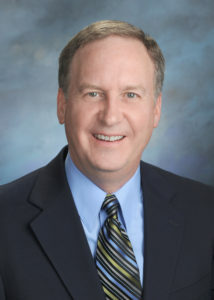 Dr. Mestemaker is a graduate of the University of Dayton and The Ohio State University College of Medicine. She is board certified in Internal Medicine and Hospice and Palliative Medicine. Prior to joining the Ohio’s Hospice of Dayton staff, she served as Associate Medical Director of Hospice of Central Ohio. Dr. Lee is a certified Hospice and Palliative Care Nurse Practitioner with degrees from Miami University and The Ohio State University. She joined the Ohio’s Hospice of Dayton staff in 2013. Prior experience included several years as a Medical Oncology and Hematology Nurse Practitioner with Cancer Specialists of Greater Dayton and as a Registered Nurse, as a graduate research associate with The Comprehensive Cancer Center at The Ohio State University and as a nurse with the Arthur G. James Cancer Hospital and Richard J. Solve Research Institute at The Ohio State University.